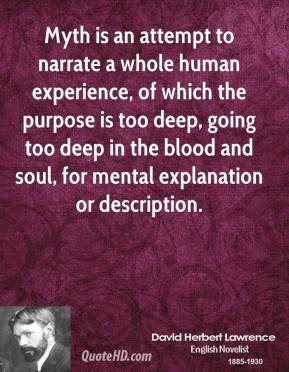 Myth is an attempt to narrate a whole human experience, of which the purpose is too deep, going too deep in the blood and soul, for mental explanation or description. 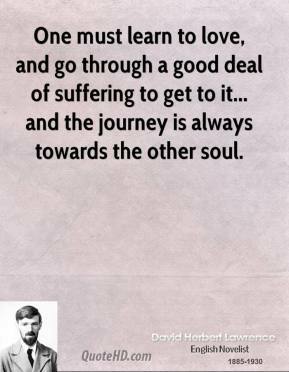 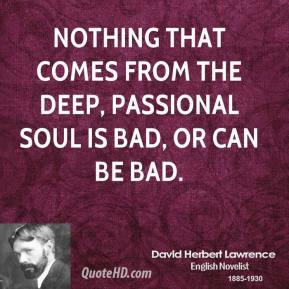 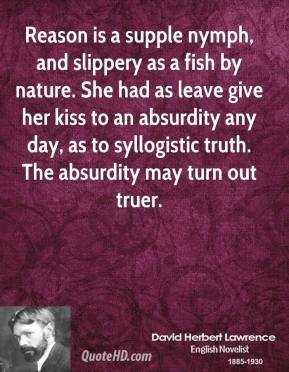 Nothing that comes from the deep, passional soul is bad, or can be bad. 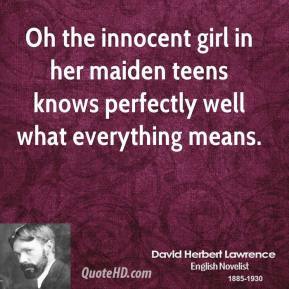 Oh the innocent girl in her maiden teens knows perfectly well what everything means. 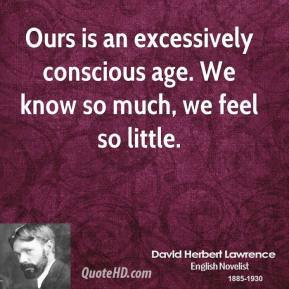 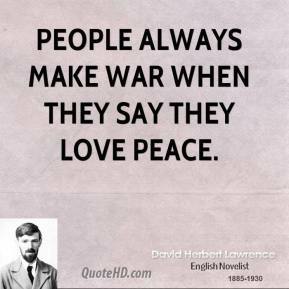 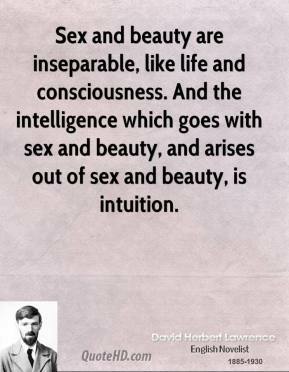 Ours is an excessively conscious age. 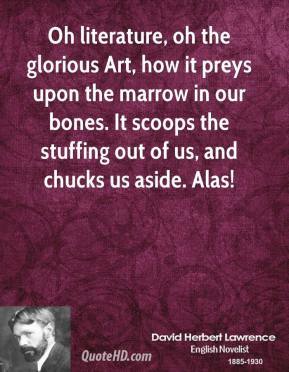 We know so much, we feel so little. 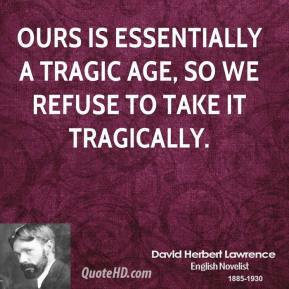 Ours is essentially a tragic age, so we refuse to take it tragically. Psychoanalysis is out, under a therapeutic disguise, to do away entirely with the moral faculty in man. 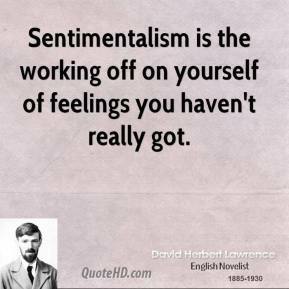 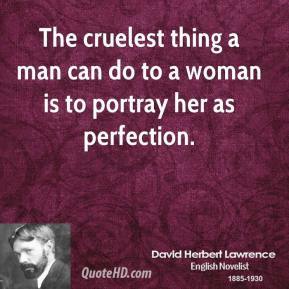 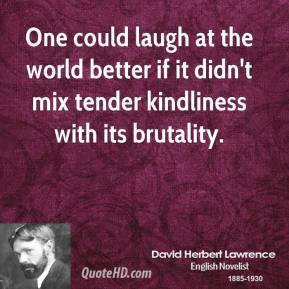 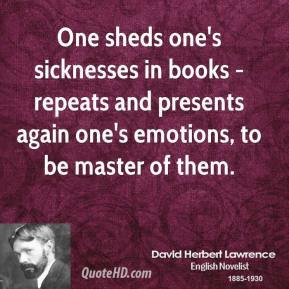 Sentimentalism is the working off on yourself of feelings you haven't really got. 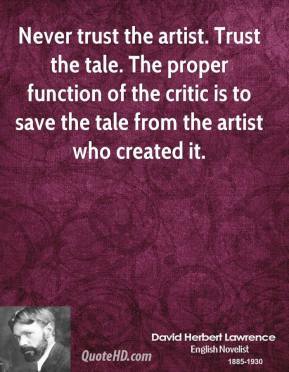 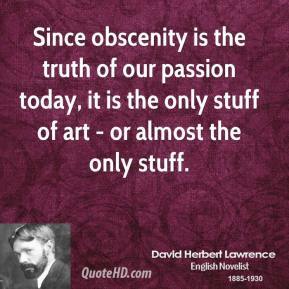 Since obscenity is the truth of our passion today, it is the only stuff of art - or almost the only stuff. 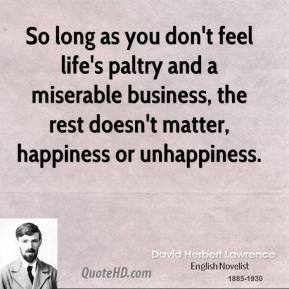 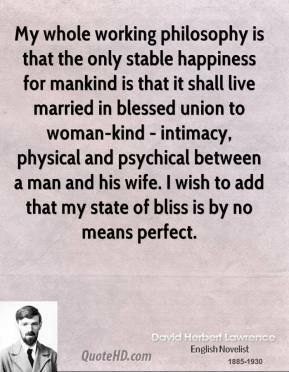 So long as you don't feel life's paltry and a miserable business, the rest doesn't matter, happiness or unhappiness. 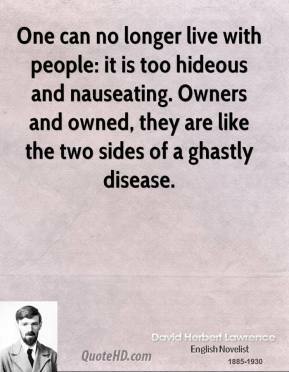 The American grips himself, at the very sources of his consciousness, in a grip of care: and then, to so much of the rest of life, is indifferent. 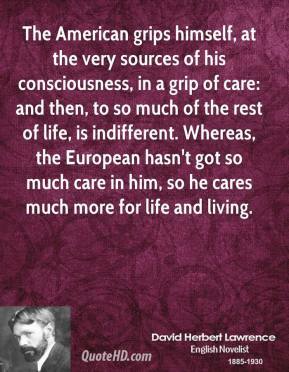 Whereas, the European hasn't got so much care in him, so he cares much more for life and living. 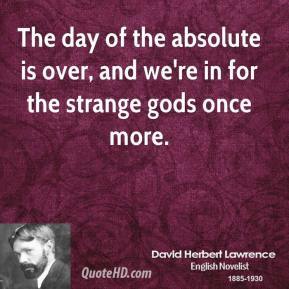 The day of the absolute is over, and we're in for the strange gods once more.